Open the site, and you can see the description of joining Baskin Robbins’ team. Click the pink link “Locate your nearest Baskin Robbins” to move on. 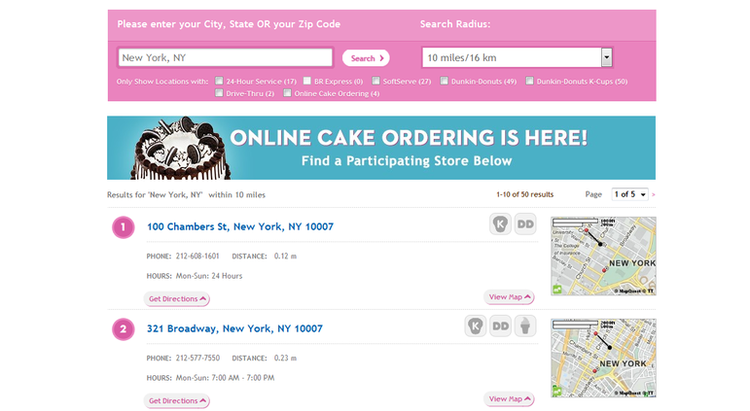 Type your state and city or zip code to see all Baskin Robbins stores within the defined distance. Click “Search” to move on. Choose a Baskin Robbins which you wish to consider. There’s a phone number offered, so you should call them first, to know if there is an opening that fits you. If there is, congratulation, take down their address. all you need to do now is to get ready and go to the store to get an application form. Click baskinrobbins.com/careers to apply for Baskin Robbins jobs online.